For anyone who's been to the original Farmacia Santa Maria Novella in Florence the lack of ornately painted ceiling and intricately carved wood paneling at this comparatively sterile London branch will come as a disappointment. To anyone who has a weakness for devine smells - the heavenly reference is entirely justified, more of that later - this is bliss. Walton Street is such a pretty place to shop and it's stores like this that make it what it is. 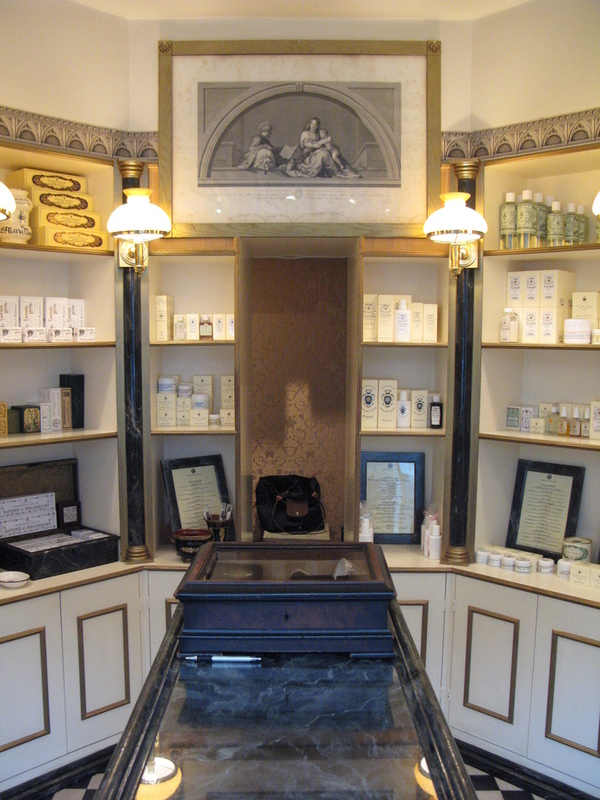 Dominican friars founded the original Florentine farmacia in 1221 and this is one of two off-shoots - the other being in Paris, of course. The all-natural ingredients and plant-based extracts make for indulgent milks, oils and creams while perfumes are made with an unusually high concentration of fragrance. Their rose cologne is a personal favourite. What are the best dining options near Farmacia Santa Maria Novella London? Farmacia Santa Maria Novella gyms, sporting activities, health & beauty and fitness. The best pubs near London Farmacia Santa Maria Novella. Farmacia Santa Maria Novella clubs, bars, cabaret nights, casinos and interesting nightlife. Where to have your meeting, conference, exhibition, private dining or training course near Farmacia Santa Maria Novella. From cheap budget hotels to luxury 5 star suites see our discounts for Farmacia Santa Maria Novella hotels, including The Egerton House Hotel London from 81% off.